In his essay “The Servant as Leader”—a piece which launched the entire field of Servant Leadership studies—Robert Greenleaf tells of a two-day, off-the-record seminar attended by twelve ministers and theologians, and twelve psychiatrists of all faiths. The theme: healing. This was certainly true for my family when, to honor the life of my youngest son Bryan, my oldest son Rick and his wife Desiree founded Emmanuel House after Bryan died shortly after his 21st birthday. And it was true for Lois Durso (then Lois Sadigh), a student in my Leadership for Social Change class, when for her class project she took on the trucking industry, laying the groundwork for pushing it to install side safety guards to prevent cars from rolling under big semis and being crushed. Her 26-year-old daughter, Roya, and her fiancee had suffered that fate. 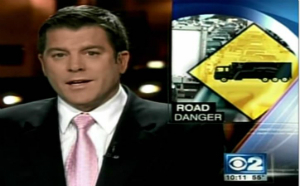 CBS 2 Investigators took up the cause, as reported in the VIDEO below. Now you see many, many trucks—not all yet—with those under-ride side barriers, and Lois and others whose loved ones had suffered similar tragedies played a significant part in putting them there. 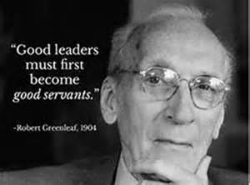 ♦ This article is part of a series on Greenleaf’s The Servant as Leader. After watching the video below go to the series’ Lead Post. This entry was posted in Social Change and tagged Bryan Emmanuel Guzman, Emmanuel House, Robert K. Greenleaf, Servant Leadership, truck safety. Bookmark the permalink. I was recently involved in an accident with a semi truck and I survived. I go day to day trying to find a way to cope and it just seems like there’s no one out there to talk to at times. I feel as if I cheated death and I’m not supposed to be here. I have mounting hospital bills and had to go back to work 3 days after my accident. I’m sorry to hear about Roya’s story.